Our purpose built data centre is located on the outskirts of Cheltenham, just a few minutes’ drive from J11 of the M5 motorway. We are just 20 meters from the local POP (Point of Presence) which allows us unhindered access to one of the UK's biggest internet providers. As well as having 400Mbit direct connection to the POP, we have redundant PGP encoded fibre links. These are from multiple providers ready to take over, should the need arise on our main line. The fail over process is fully automated and switches over seamlessly for extremely robust connectivity. All of our internal switches are at least 1Gbit connection so data flow within the data centre is fast. Investment within the data centre ensures that we keep up with demand. 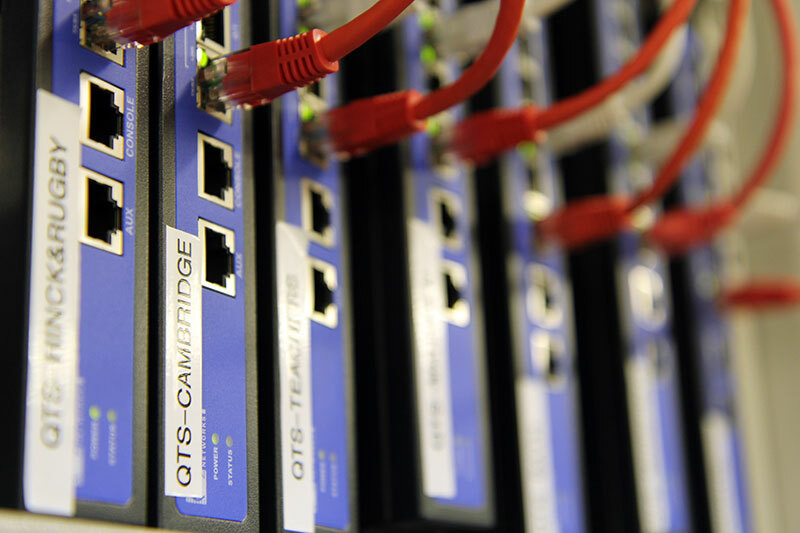 The environment within the data centre is carefully monitored and controlled by our engineers. We maintain redundant air conditioning so in the event of a power failure it is switched over within minutes. The data centre has a gas fire suppression system which can extinguish a fire within the data centre in just a few seconds. Every rack within the data centre is powered via multiple APC UPS systems which allows for a 'clean' supply to the equipment. The UPS's allow for powering the entire rack long enough for the generator to take over the supply. The UPS's are monitored and checked frequently by our engineers. Our 80Kva diesel generator is always on standby and monitors our mains supply for any unusual peaks and troughs. We provide crucial, high availability e-commerce solutions. As our hosting ad web design partner we rely heavily on Continental to provide us with outstanding, first rate and tailored service. They are not only highly professional and pro-active, but also friendly and approachable. The London Stock Exchange have developed an excellent working relationship with them and have always found them to be engaging and efficient. Their expertise and knowledge have been invaluable and the quality of their work has always been exceptional.